Have you been searching for a "flat tire repair near me"? If the answer is yes, you should consider contacting us for tire repair service and tire rotation service. Our certified technicians can inspect your car's tires thoroughly and quickly while helping you decide if you need any repairs or replacements. We understand that tire repair cost is always a factor to consider, which is why we strive to offer you a variety of discounts and tire rotation coupons. Speak to one of our professionals at our Maplewood, MN, and Meineke #897 to learn more about our tire repair services. Tires are one of the most essential parts of your vehicle. They act as the only point of contact between your vehicle and the roadway, so they are vital for proper safety. They can also significantly impact how well your vehicle performs. If you fail to take your vehicle in for a scheduled tire change service, you could be increasing the wear on your vehicle and lessening the lifetime of connected components. You may also be putting yourself, your vehicle's occupants and others on the roadway in danger. As tread wears down on a tire, it does not maintain as much traction, which could cause your car or truck to lose control on the road. 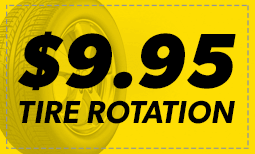 Stop by Meineke #897 in Maplewood, MN to learn about a tire rotation service to prolong the life of your tires. Uneven tread heights and issues with vehicle stability at high speeds could each be a sign that you're in need of a tire repair or tire change service. However, these signs are often easy to miss. Fortunately, you vehicle will often tell you when its tires need some TLC through your in-dash tire pressure light. If and when it turns on, you should immediately stop and see which of your tires is over or underinflated. If the sensor continues to illuminate even after adding air to the tire, taking it into Meineke #897 in Maplewood, MN may help you avoid a high tire replacement cost. Be sure to check and see if you also need a tire pressure sensor replacement while you're there. Have you ever noticed how well your vehicle's different component systems work together? Unfortunately, they tend to deteriorate together, as well. You'd be amazed at how trying to avoid a simple tire repair cost can result in extensive damage to your vehicle. That's because unbalanced tires lead to increased wear on certain wheels as they try to support extra weight. Not only does this speed up their wear, but it also can affect your vehicle's suspension as it tries to compensate for this imbalance. Rather than allowing this to happen, research your "tire repair near me" options to find Meineke #897 in Maplewood, MN. Your tires will typically give you plenty of notice that you should look into tire replacement or repair. Low tire tread is a serious problem that can only be solved through replacing the affected tire and its twin. Cracking, noticeable wear on only one side of the tire and vibration coming through the steering wheel are all indicators that you should have your tires inspected by a professional. If you do not replace your tires promptly, they could pop while you are driving. Taking your car to Meineke #897 in Maplewood, MN for a full tire inspection and tire repair is the best option for safe driving. Drivers can expect high-quality service from us, but we also understand that tire repair cost and tire replacement cost are important to consider as well. If you are experiencing issues with your steering and suspension, you may also be curious about our tire rotation cost. We realize that vehicle maintenance and repair can be expensive, which is why we strive to offer some of the most affordable prices in the industry to our customers. Your local store may also offer various coupons and discounts. 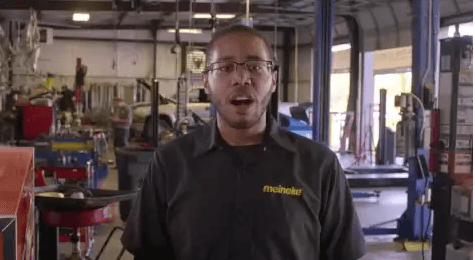 Call our Maplewood, MN, Meineke #897 store for additional information about our services.